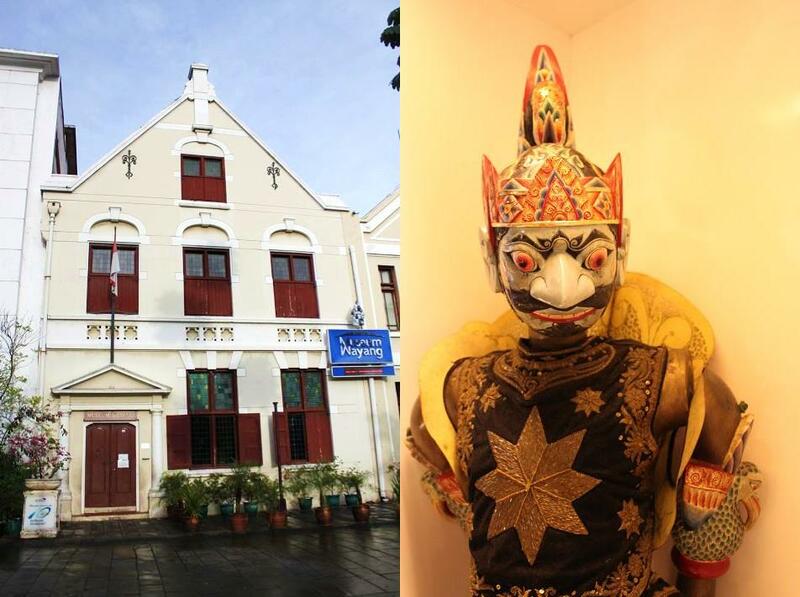 The Dutch Charm in Jakarta’s Old Town | What an Amazing World! Indonesia was once a Dutch colony for about 350 years. Yes, three and a half centuries! So, no wonder there are many Dutch remnants in this country, notably the buildings. 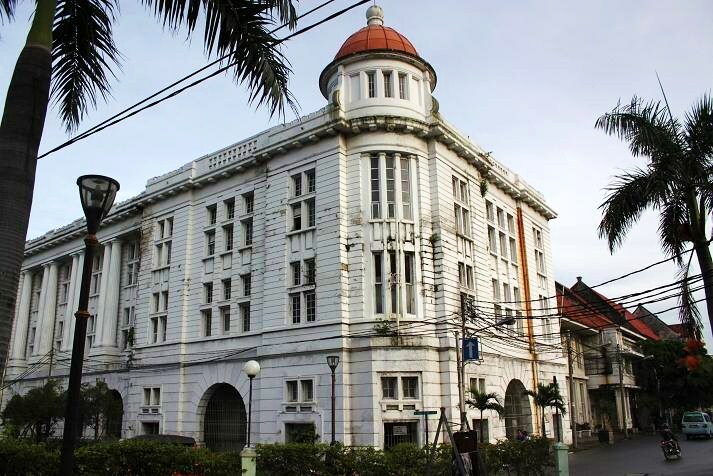 Jakarta (formerly Batavia) was the center of the Dutch East Indies and now serves as the capital of Indonesia which gained independence from Japan in 1945. As time went by, Jakarta has grown into a megacity where more than 10 million people live. More and more skyscrapers are dominating the city’s skyline. However the old town quarter of the city is relatively well-maintained. In Sundays people come to this place to do some jogging, ride bicycle, take some photographs or merely hang out with their friends. Surrounded by a number of museums makes this place also ideal for historical excursion. This place is easily accessible by Transjakarta buses. Anytime you visit Jakarta and bored with the malls, this place is a very recommended alternative. 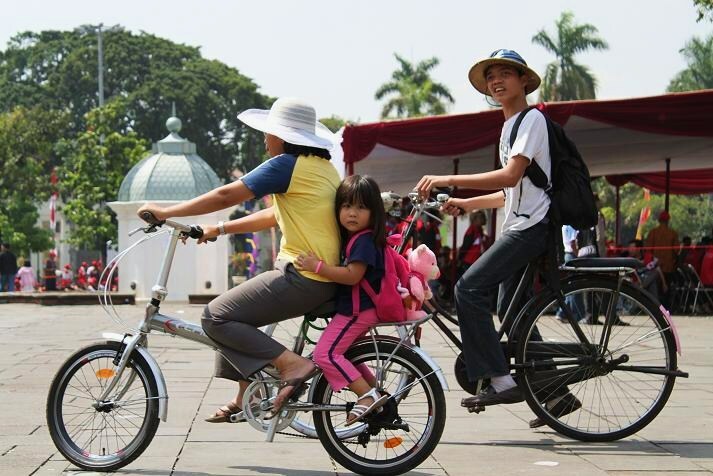 Pingback: The (Friendlier) Face of Jakarta « What an Amazing World! What a gorgeous looking city! I know no idea the Dutch held it for so long. The architecture is marvelous! There are more beautiful old Dutch buildings in my hometown actually, but I won’t post anything about it until September this year when I’m visiting it. 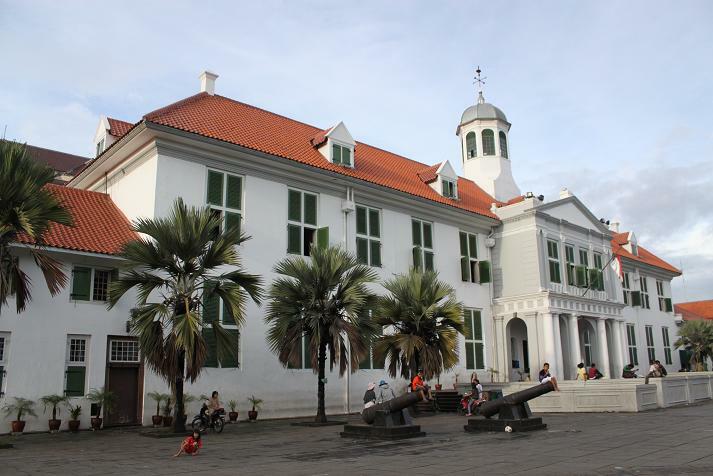 A little history here, Jakarta (Batavia) was the center of The Dutch East Indies Company (the world’s first multinational company and the also the first company ever to issue stock) which dominated the trade in Asia. It was so important for the Dutch that they kept it under their control for that long until they were defeated by the Japanese. great pics of your city man! The Dutch charm really adds a nice flair to things. Hi Scott! thanks man! Actually I can’t wait to post something about my hometown where Dutch buildings are more opulent than in Jakarta. Btw, I remember dropping by your blog a few months ago, and when I checked it just now it seems like you’re going RTW next year. That’s something I’ve always wanted, but for now I’ve got to save every penny in order to fulfill that dream. 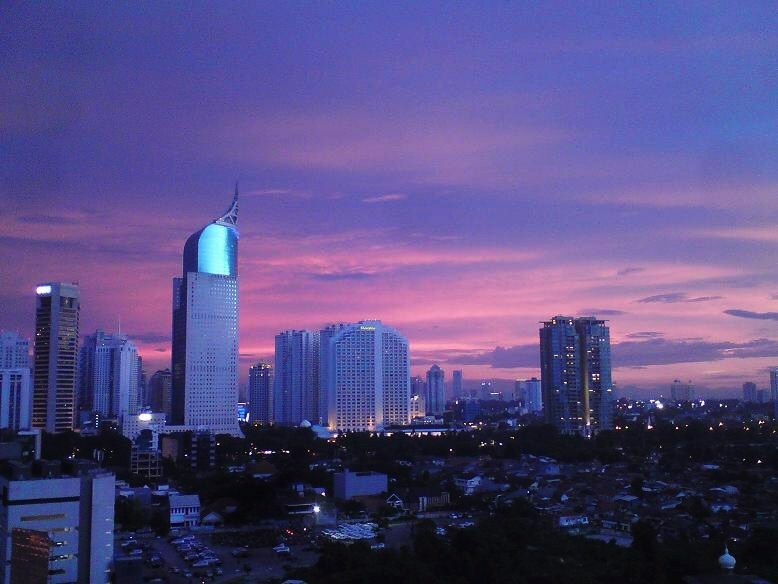 amazing shot of Jakarta skyline. by the way, I don’t feel really fond of old Jakarta side you mentioned there. The dutch remaining probably is still there, but poor maintenance and the surrounding of that area is not too comfortable for tourist..
Well, some parts are indeed poorly maintained, but some others still radiate their charm, notably museums (for instance Museum Bank Indonesia which is well-funded). This reminds me of how little of my hometown I’ve seen. Next time I come home, I really want to play tourist there in Jakarta. Hey guys, I’ve been following your round the world trip! Thanks for dropping by. I hope next time you come back to Jakarta the transportation will have been significantly improved (hopefully the MRT will already be built by then). Love that skyline. The dutch influence is interesting. And so are the mixed Indonesians! Awash… I love wayang golek!!!! The fact that you know a lot about Asian cultures (including Ramayana, Wayang Golek, etc) is just fascinating! Jakarta is a city I’ve always wanted to visit, and hopefully I will get too in the near future before too much of the old changes into new. Thanks John! I do hope that all those old buildings will remain the same for years (hundreds of years!). Whenever you visit Jakarta please do let me know. I will give you some information about places worth visiting in this city. Beautiful pictures, as usual. The skyline at dusk is stunning. Every time I visit your blog I move Indonesia up on my places I want to see next. Wow, what a compliment! Thanks Erin! In the future I plan to post more stories about unique places in Indonesia. I know, hahaha… I’ve been busy with work and stuffs and haven’t had the chance to travel, or even have an excursion. you took that office-view pic from ur mobile phone?? impressive I must say… impressive Bam..
Pingback: Jakarta on A Sunday « What an Amazing World! pity that so many of these buildings have fallen. But really nice pictures XD!!!!! Indeed it is. I just hope that everyone takes part in preserving those invaluable heritage. Thanks for dropping by!